My favourite thing about the glacier is how much it moves, each trip really is different because it is constantly changing. Keeps it interesting! 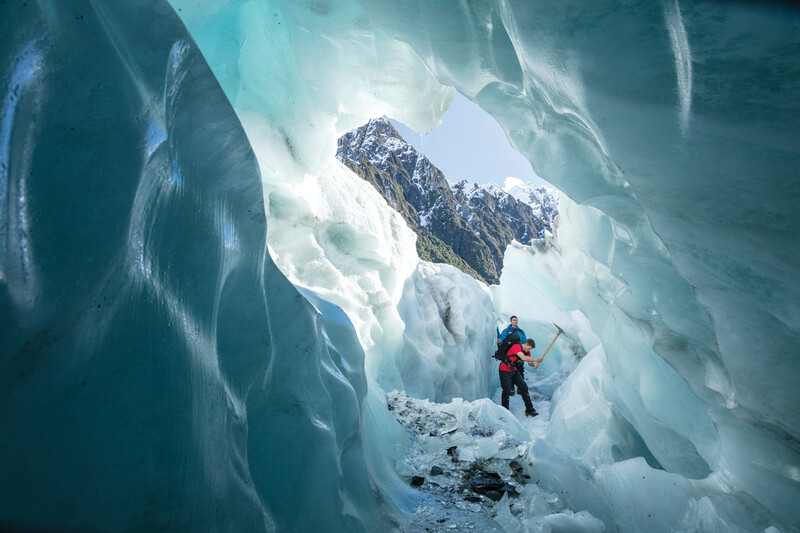 With the combination of an exhilarating helicopter ride, jaw-dropping scenery and a three hour hike through the most spectacular glacier features, it's no wonder our guests often label their Glacier Heli Hike as the highlight of their visit to Aotearoa (New Zealand). Your journey starts at our glacier base in Franz Josef Village where our friendly team will check you in, get you kitted out with the essential gear and give you a pre-trip briefing. From here, your guide will lead you a on a short walk through native forest to the heli pad and get you ready to board your helicopter. Adrenaline levels start to spike as you board your helicopter and our highly trained pilot then whisks you away over the jaw dropping landscape - an opportunity to take in the full panoramic majesty of Kā Roimata o Hine Hukatere nestled within the surrounding mountains. Your pilot will land you high up on the glacier itself, where your guide will help you make the final preparations for your hike before you head off to explore the pristine features of this incredible icescape. Our guides are highly skilled in the art of step cutting, which means we can find you both the safest and most spectacular route available on the glacier. 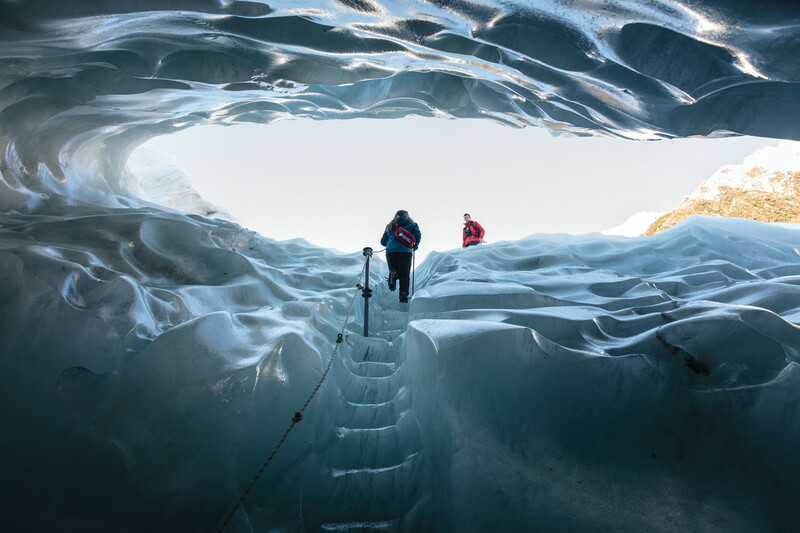 Because the glacier is so fast moving, its features are constantly changing - you might find yourself sliding through a narrow crevasse or between towering walls of ice, crawling through blue ice tunnels, hanging out in ice caves, or witnessing the glacier calving. You can be sure that you're seeing the glacier in a unique state and no two trips are ever quite the same. During your hike your guide will share with you the story of Kā Roimata o Hine Hukatere, their knowledge of the glacier and surrounding area and insight on why Franz Josef is so unique. You'll come away from your trip not only with a sense of awe at this majestic beauty, but a whole new understanding of why this precious landmark is so special. *Please not that a reasonable level of fitness is required for this tour. 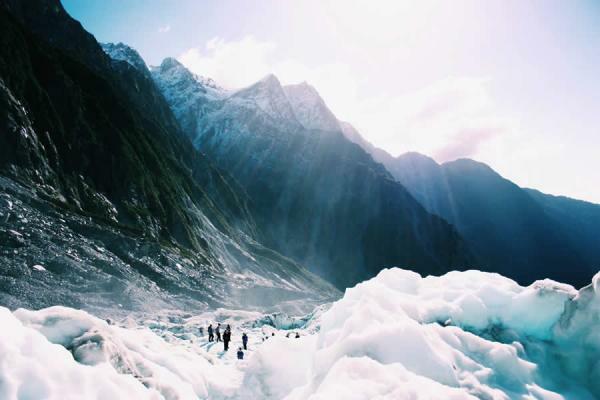 Our Franz Josef Glacier Valley Walk is suitable for all fitness levels. For more information, click here. This tour is subject to availability. Please contact us if you would like to book this tour. A short scenic helicopter transfer flying over the glacier valley and landing on the ice. 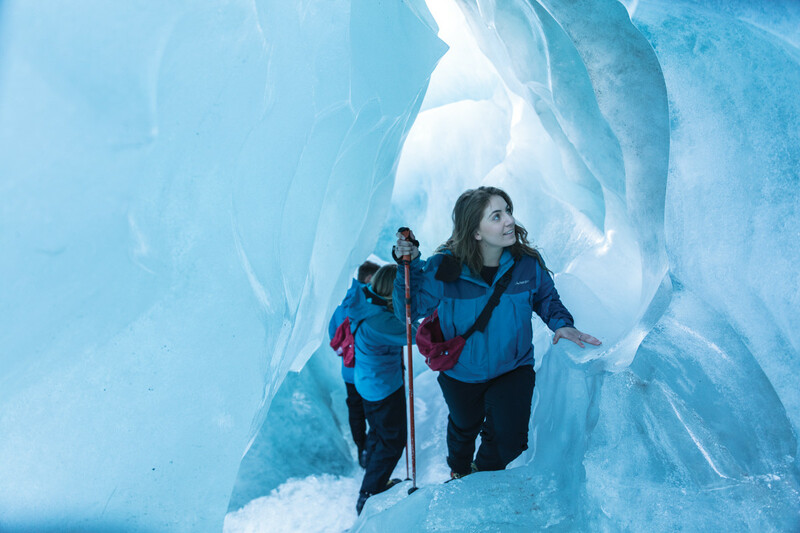 A three hour guided tour on the glacier exploring key features with your friendly and knowledgeable guide. 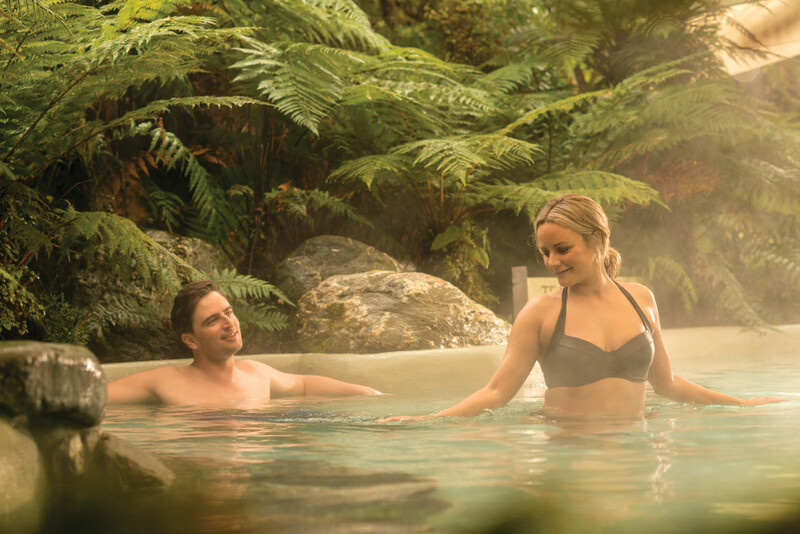 This tour includes FREE access to the Franz Josef Glacier Hot Pools. 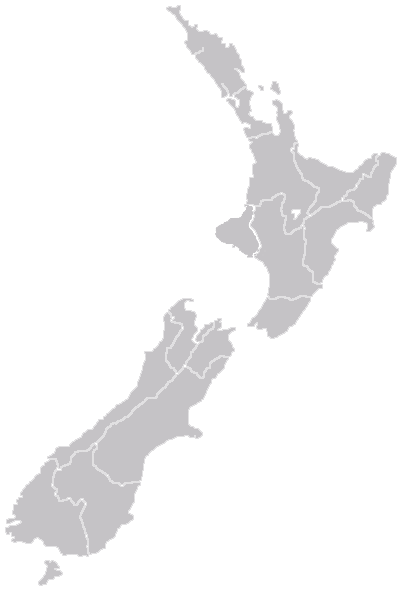 ‍Please click here for information about safety restrictions, fitness levels. and cancellation policies. 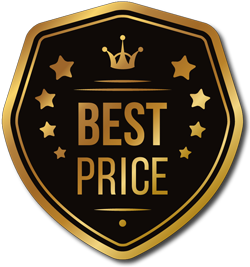 Prices valid until 30th September 2019 and subject to change. 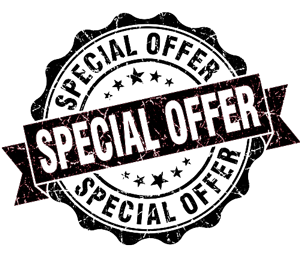 Please contact us for prices past this date.